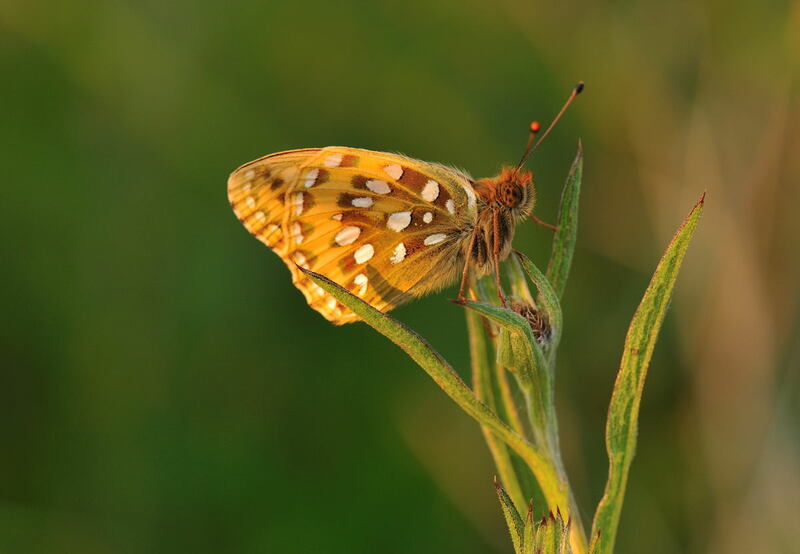 This Dark green Fritillary was taken tonight at about 8.45pm tonight in rapidly dropping light. By day it is a very strong flyer with rapid flight and just about impossible to approach. By evening they are docile and will pose without any concerns, if you can find one of course. I was lucky and just caught this one basking in the late sunshine on a grass stem. 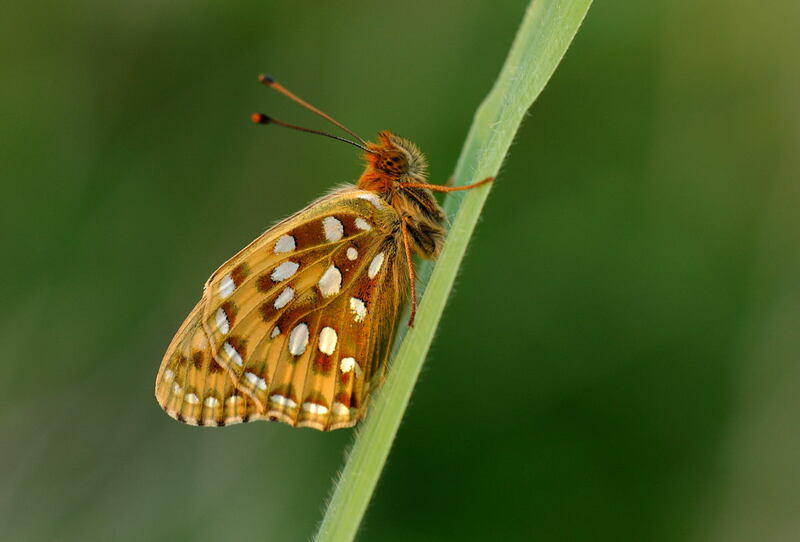 Dark green Fritillary's are the commonest of the Fritillary's in Cornwall and they prefer the dune systems of North Cornwall including Perransands, Hayle Towans and areas aound the Camel Estuary. Real Stunners Steve and beautifully captured.The previous posts are of the same great standerd. Cracking. Nice pics Steve - I spent a while chasing these around at the weekend to get similar shots (http://braddersbirding.blogspot.com), though I was there mid morning when they were almost impossibly active! Out of interest, which macro lens are you using for butterflies? Hi Dave - the lens is the Nikon Micro Nikkor 105mm F/2.8. Tripod mounted.